When I first started this acoustic project about 2 years ago, I scribbled down about 20 songs I might want to include. The Allman Brothers' "Mountain Jam" was on there towards the bottom, but I don't think I ever seriously thought I'd put together an acoustic version. But while noodling on Jimi Hendrix's "Third Stone From the Sun", which is prominently featured within the winding movements of "Mountain Jam", I figured why not take a stab at it the whole thing. "Mountain Jam" was a showcase for the whole band, a lengthy instrumental that was born from The Allman Brothers and The Grateful Dead jamming together on a riff from Donovan's "There is a Mountain". 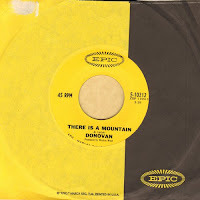 For anywhere between 10 and 45 minutes "Mountain Jam" weaves through melodies from "Third Stone From the Sun" to "Will the Circle Be Unbroken" to "What I Say". 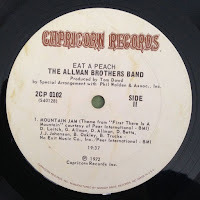 The version on Eat A Peach (33 minutes, originally split across 2 LP sides) gives everyone in the band a few minutes in the spot light: the melodic and funky drumming of Butch and Jaimoe and even a sweet and bouncy Berry Oakley bass solo. But it was different every night. As the band's line ups changed and their song catalog grew, "Mountain Jam" would pop up in sets less and less. By the time the Allmans reunited briefly in 1979, "Mountain Jam" was played even less (a truncated version closes an epic 1979 Passaic NJ encore), which isn't surprising since long extended jams weren't exactly en vogue. But even when the band reunited again in 1989, "Mountain Jam" was mostly sidelined save for a tease in the middle of "Jessica". It wasn't until the Summer 2000 tour, the first without without guitarist Dickey Betts, that the band dusted it off so they could give Gregg Allman's voice a rest since Dickey's departure made him the sole singer. It remained in the rotation until the band called it quits in 2014, and was typically an epic set piece that could open and close the same show. I drew on a few different "Mountain Jam" performances for my version. I needed a framework, so I picked the essential pieces from the band's 2004 In The Studio performance of Eat A Peach as a jumping off point. From there I had to figure out what I could perform and adapt. I wanted to add keys since Gregg Allman's hammond organ is such a presence, but it quickly became too busy. Plus I'm not a good enough keyboard player to justify that much bad piano playing. But I did throw in a few of those keyboard licks on the dobro solo. Same thing happened to the drum section. If I had more time, I might have been able to put together a something more interesting but there is a big gulf between being able to keep a beat and being able to put together a few bars of funky, interesting percussion solo. I initially intended the bass solo to be longer, but as I tried to figure out what to do there I realized I would have just been copying Berry Oakley's licks. So that got cut down considerably. The bass part is actually super simplified. 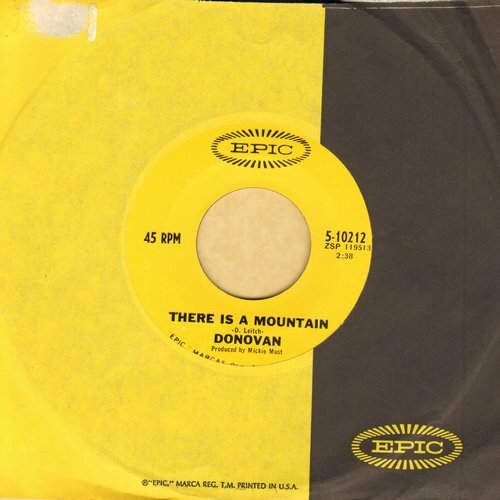 Berry Oakley's bass playing on "Mountain Jam" is relatively busy, moving freely along side Dickey and Duane's guitar themes. I tried playing bass with a little more freedom but it just didn't fit (probably because he was an amazing bass player and I'm not), so I simplified the bass line to something less distracting. There has been more lionizing of Lou Reed than maybe any other musician of the past 40 years, especially in his home town, New York City. 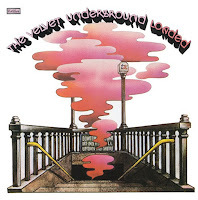 Along with fellow experimental musician John Cale, Reed infused pop music with an art house sensibility with The Velvet Underground at a time when The Beatles and Beach Boys were just starting to experiment sonically. 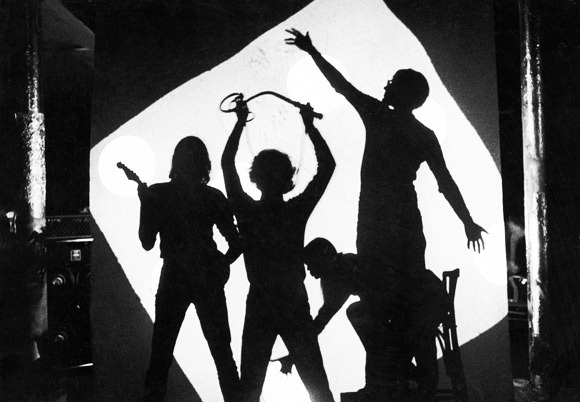 Cale was soon dismissed and Reed left the band by 1970, just as their final studio album, Loaded, was being finished. Between Lou Reed's mythic status as the sound of 1970s New York, and Andy Warhol's initial involvement, The Velvet Underground is likely still better known for their art house reputation than their actual music. 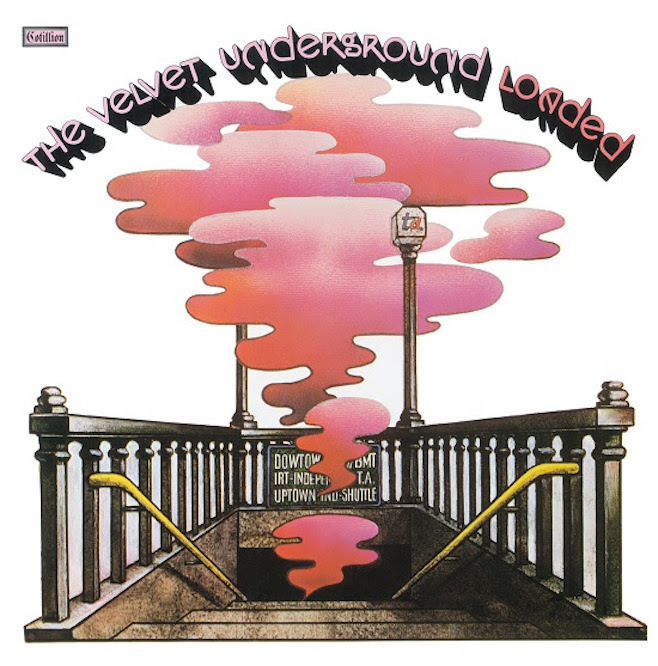 I can't remember when exactly I heard the song, probably much later in life than I should have, but Lou Reed's deceptively minimal arrangement immediately jumped out at me from a pretty amazing album. After several jammy songs, I wanted to take a crack at it. Even though the song is mostly acoustic, I had to figure how to strip the song down acoustically without removing the attitude. Also, I just don't have a lot of punk in my voice. I tried to sing/speak it like Lou, but it sounded like a bad imitation. So I tried to put a bit of a melody to it, which I didn't love, so I tried masking it with harmony and back up vocals, similar to the "All Right" answer back up vocals on the chorus. I didn't love it, so I shelved it. I came back to it a few months later, with fresh ears, and thought it didn't sound so bad once I ditched the harmony singing, and wasn't going to get any better.